Landlines – an antiquated telephone that is often unused but kept around for legacy reasons. I cannot remember the last time I used a landline telephone. It was probably more than three years ago. Growing up with a mobile connection has made landlines a thing of the past for younger generations. Throughout university the only thing a student uses is a cell phone. However, once a student moves into their first place where they need to set up internet, this long-forgotten option suddenly reappears. 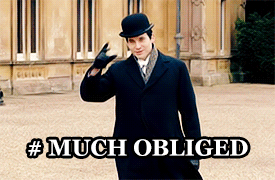 As it did for me when I recently moved to an apartment in London. When setting up our internet we didn’t consider getting a landline. Really, why would we? They said it in a way that assumed we must have a landline. Of course, when these systems were built virtually everyone had a landline. 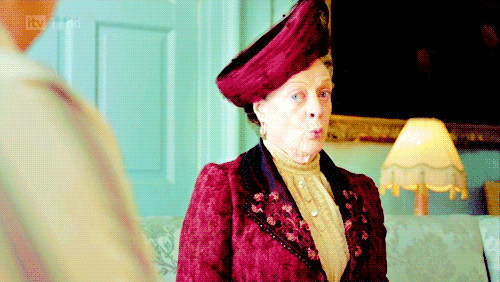 When getting the internet set up, they told us that adding a landline would be an additional £15 a month. So we were to pay £180 for 12 months. A high price for some antiquated technology that we would use for one purpose only: the occasional visitor who does not know the code for the gate. Since we are hackers, we decided we would not have some old-fashioned hardware forced on us. If we were to have outdated hardware at our new home, we would do it our way. In the UK, landline phone numbers are different from cell phone numbers. 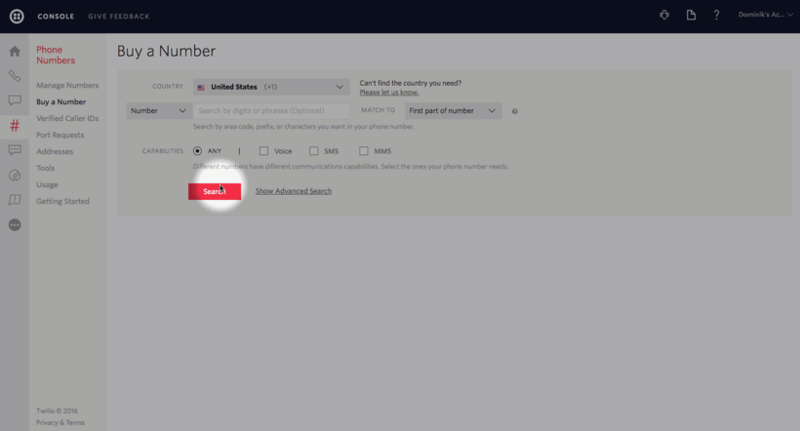 Luckily, Twilio in the UK offers local phone numbers. These are numbers that are assigned to a specific region. We filtered the UK numbers Twilio offers and bought a number matching London’s region code (020). After buying the number, we went to the Developer Center and created a new TwiML Bin within the Twilio Console. 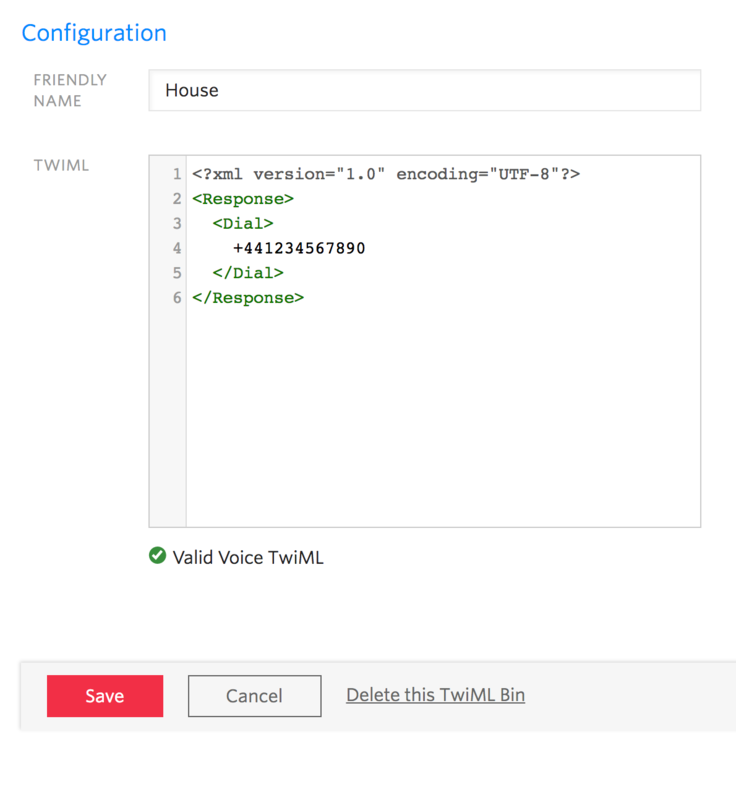 This forwards any incoming call to the Twilio number to another number which is specified in the TwiML Bin. 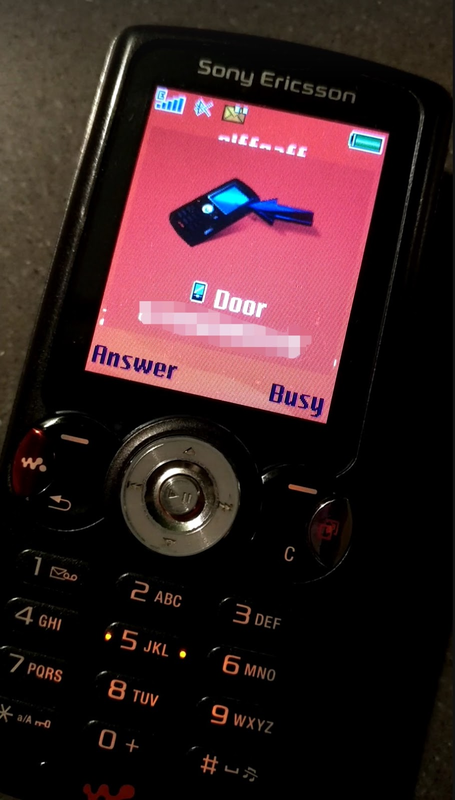 After connecting the doorbell to the Twilio number, we temporarily had the TwiML Bin set to forward calls to one of our phones. This lead to a few awkward situations. One poor delivery driver rung the bell, we picked up and then had to tell him that we weren’t actually home, even though we had ‘answered’ the doorbell. The other issue I had was that I keep my phone silenced almost always. Even when at home there are occasions when I miss phone calls. In this case that would mean not hearing ‘the bell’ even though I was home! This is when I realized the beauty of a ‘landline’ phone – or rather – of a designated phone that indicates you are at home and is loud at all times. Out of a sense of nostalgia, I had recently browsed eBay for a Sony Ericsson w810i, a former loyal companion and my first real multimedia phone when I was a teenager. After ordering it and a pay as you go SIM card, I set up our new-old mobile landline phone and changed the TwiML code to forward calls to that. Personally, I decided for a dedicated phone for the bell. You could however also set it up to call you on your mobile if you weren’t home – it could even call your entire family simultaneously! This way, you could remotely talk to the people at your door. For this you can use the above TwiML Bin which will first try calling a primary phone. Then, if no one picks up it will call both backup phones simultaneously! Overall, this setup is as functional as a landline phone. Yet this Twilio-serviced ‘landline’ phone saves us quite a bit. We have yet to find something that requires us to make outbound calls from a landline number. However, if we did need this functionality we could also build this with Twilio. The reason I am telling you this story is because you may know somebody in a similar situation. Or you may be in a similar situation yourself at some point. If you do find yourself in that situation where a landline provider tries to sell their services to you tell them you don’t live in the 1920s. If you have any questions about this or about how to overhaul other outdated services (like fax), feel free to reach out to me on Twitter @naomi_pen. If you build your own Twilio-serviced old-new mobile-landline, I would love to see pictures of your setup!